Kazakhstan is located in Asia. It shares borders with Russia, China, Kyrgyzstan, Uzbekistan and Turkmenistan. It also borders the Caspian Sea. Kazakhstan mostly consists of steppe land. Residents from 43 countries can travel to Kazakhstan without a visa, including the United States, Australia, New Zealand, the UAE and Canada. 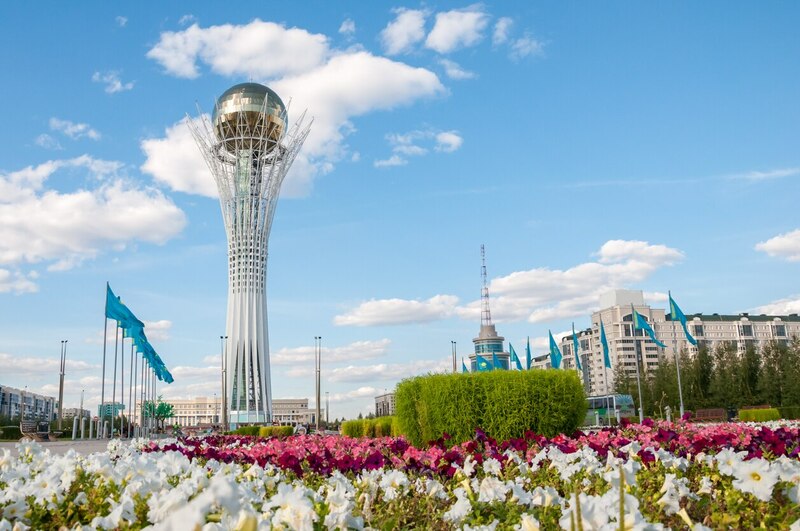 All other visitors to Kazakhstan must obtain a tourist entry visa from one of the Kazakhstan diplomatic missions. You can bring most of the things of general use or medicated items with a doctor's prescription to Kazakhstan. Common items such as baby seats, milk powder, books, clothes, legal music cd's, cosmetics and cameras are allowed. You are allowed to bring 2 liters of alcoholic beverages to Kazakhstan. Great Experience of Ice Skating Rink!! We booked a ticket for car drive from Almaty was a wonderful one with beautiful views. Our first experience of Ice skating in Kazakhstan was superb.You need to walk a bit and get the ticket for first cable car which takes you to the point to enjoy the snow. Further open cable car ticket take to highest points where professionals do the skiing at the nominal ticket cost for gears.There are many restaurants nearby but with a higher ticket price.It was a great experience amid snow at Kazakhstan. Awestruck by the beauty of Almaty Lake!! We reached Almaty Lake in spring season after about an hours drive in our SUV ( 4X4) for which we booked the ticket from Almaty city center. The views of the lake were breathtaking with beautiful nature. You can experience a real peace here at this lake in Kazakhstan. We took a lovely walk in the cool weather with a beautiful landscape. We went to Kok Tobe Hill by cable car service at a nominal ticket price. There was not much of a queue for getting a ticket. It was simply an amazing place for kids with lots of activities, rides and fun games all with a stunning panoramic view of Almaty. There is also a van service operating to go up or downhill for which you need to purchase a ticket. Watching the sun setting from this viewpoint is simply breathtaking. You shouldn't miss this experience on your visit to Kazakhstan. Q. What is the best time to visit Kazakhstan ? A. Kazakhstan is a four-season country so plan your ticket accordingly. Generally, the weather remains moderate in Kazakhstan. April is the wettest month and December is the time for heavy snowfall in Kazakhstan. Q. Is Kazakhstan affordable to visit? A. Kazakhstan was previously an expensive country to travel to, however, things have changed since currency devaluation, and Kazakhstan has become an affordable country to travel to, even for those on a budget. On an average, the cheapest hotels cost USD 25 a night and transportation tickets from the airport to the city center cost around USD 4. Q. What are popular souvenirs to buy in Kazakhstan? A. Kazakhstan is famous for its carpets (syrmak) that have a distinctive red hue and geometric shapes. Ceramics dishes and silk scarfs are also popular items as souvenirs from your Kazakhstan trip. Q. What are the various modes of transport available in Kazakhstan for travel within country? A. Kazakhstan has a variety of transportation available. Public transportation such as buses and trains are budget friendly and are cheap. Trains are by far the best option to cover long distances within the country. Domestic flights via Air Astana are available for travel to major cities within Kazakhstan. Another cheap way to get around is to hire a marshrutka, which are small vans that travel within towns. Airports handling direct flights to Almaty International Airport ・Sharjah International Airport ・Beijing Capital International Airport ・Dubai International Airport ・Frankfurt Airport ・Hong Kong International Airport etc. Airports handling direct flights to Astana International Airport ・Sheremetyevo International Airport-Mosco ・Incheon International Airport-South Korea ・Abu Dhabi International Airport ・Suvarnabhumi Airport etc. Airports handling direct flights to Shymkent International Airport ・Istanbul Atatürk Airport ・Khujand Airport -Tajakistan ・Sheremetyevo International Airport-Moscow etc. There are 25 airports in Kazakhstan. The major airports are Almaty, Astana, Aktau, Shimkent and Atyrau. Air Astana is the national airline of Kazakhstan. Air Astana flies to Almaty, Astana, Abu Dhabi, Amsterdam, Kuala Lumpur, Frankfurt and Hong Kong. There are other carriers operating from Almaty connecting to Gulf countries such as Lufthansa.